Paris is, without a doubt, one of the most romantic cities in the world. There are tons of places to visit and plenty of culture to soak in. Now if you are a poker player, perhaps you have had dreams of taking down a WPT event once or twice in your life. If you have always wanted to go to Paris and you also have a goal of winning a WPT event, it’s time to kill two birds with one stone by playing in WPT Paris. The WPT Grand Prix de Paris is a €7,500 tournament taking place in the Aviation Club de France. Everything gets started on the fifth of September with the final table scheduled for the tenth. Most normal people can’t afford to pay €7,500 to play a single tournament, however. 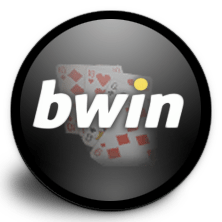 That is where the Bwin Poker steps in to solve all your problems. They have four different ways to win a package for WPT Paris that is worth $15,000! You can win a package playing freerolls. Bwin has one package for freerollers, and you will need to get through two tourneys to win it. First you must play one of the daily WPT Paris Freerolls and place in the top 80. You do this to qualify for the WPT Paris Freeroll in August, and the winner of that event wins the $15k package. If you are a great tournament player and score in the top 50 of the leaderboard between June 20th and August 14th, then you receive an invitation to a special satellite for WPT Paris. The prize pool consists of two packages, and you’ll have great odds of winning one since just 50 of you will be competing for them. If you would prefer some traditional satellites to the event, you’ll have plenty of opportunities there. The WPT Paris Finals cost $320 to enter and they take place every Sunday. One package is guaranteed in these Sunday qualifiers. You can get into the Sunday final by playing daily qualifiers for $2.20 and up. The fourth and final path to WPT Paris is the $11 Faceoff. If you are willing to pay $11, the Faceoff takes place on August 14th. This tourney is sure to have a huge number of participants since two packages are guaranteed. If $11 is still a bit too pricey for you, you can play daily satellites to the Faceoff for $1.20. You have the chance to sit down with some of the best players in the world and hopefully take them down for a WPT title. Not to mention the money that comes along with it! Good luck in the satellites at bwin! On April 15th players all around the United States of America became aware of the grim reality referred to as Black Friday, as their ability to play online poker on the three major sites was stripped away. It wasn’t long before PokerStars allowed their American players to access their real money accounts, however. Unfortunately, the outcome with Full Tilt Poker was quite the opposite. American players have been unable to access their funds since that fateful day in April. And now even players outside of America have their funds locked up in Full Tilt. On June 29th, the Alderney Gaming Control Commission (AGCC) took away Full Tilt Poker’s license. Full Tilt was no longer available to anyone. Their unsatisfactory job at paying back the American players was part of the reason they lost their license. Players were forced to look ahead to June 26th in hopes that they would get some information from the hearing between Full Tilt Poker and the AGCC. For weeks there were rumors bubbling of investors vying for Full Tilt Poker which would alleviate their cash flow issues. Therefore their standing with the AGCC could be fixed. Players everywhere held their breath and crossed their fingers. Good news has not been very plentiful, though. Full Tilt asked that the hearing be rescheduled so that they could get back to their negotiations with their potential investor. The AGCC resisted at first, and they brought up the fact that Full Tilt Poker owes them £250,000 in licensing fees. The site retorted that they did not want to pay if they were not going to get their license back. To the chagrin of players everywhere, the meeting failed to produce any additional information. The hearing got rescheduled to the 15th of September. By September 15th American players will have had their money locked up for a full five months.